Jessica Smith has an incredible story of triumphs and tribulations. 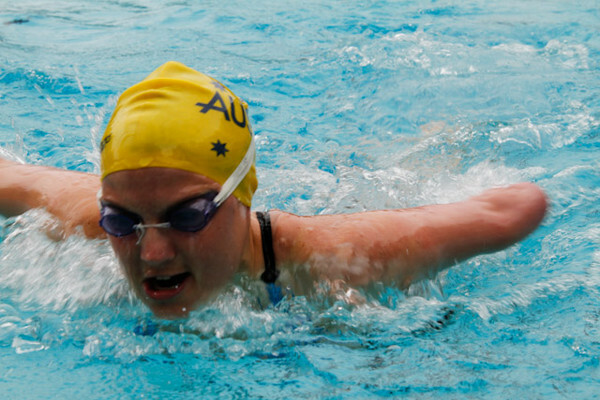 Born missing her left arm and then suffering a horrific kitchen accident when she was a toddler sustaining burns to 15% of her body, she defied odds and went on to represent Australian in the sport of swimming for seven years, culminating in representing Australia at the 2004 Paralympic Games. Jessica is an accomplished motivational speaker and MC, having stood on many platforms throughout schools, universities, businesses and community organisations, including the UN, where she shares her personal journey and highlights the importance of Mental Health awareness, focusing particularly on body image, diversity and eating disorders. Jessica is continually acknowledged for her incredible advocacy work; awarded ‘Emerging Leader’ by the Australian Government at the Positive Body Image awards, as well as being awarded a Pride of Australia Medal. In 2015 Jessica was a state finalist for Young Australian of The Year and more recently in 2017 she was named Cosmopolitan Magazine ‘Woman of The Year’ in the category of Game Changer. Jessica is also the mother of two young children. Her journey into Motherhood inspired her to write a series of children’s books about disability and acceptance. After growing up with limited resources on these topics, Jessica wanted to create characters that represent what kids see in every day life. Her first book ‘Little Miss Jessica Goes to School” is about a young girl with one hand on her first day at school, where she learns that being ‘different’ is OK.